Craft Workshop activity for children available to hire for Family Fun Day, Corporate and Community events in North Yorkshire, County Durham and the North East. Prices from £350 based on two people at a four hour event. Please note this is an indoor activity. For outdoor events it must be set up in a marquee or tent. Children must be under the supervision of an adult. 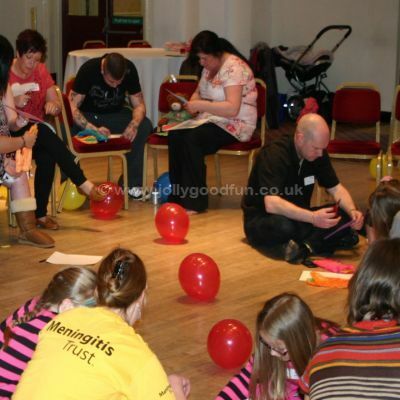 Creative fun for children at events and parties. 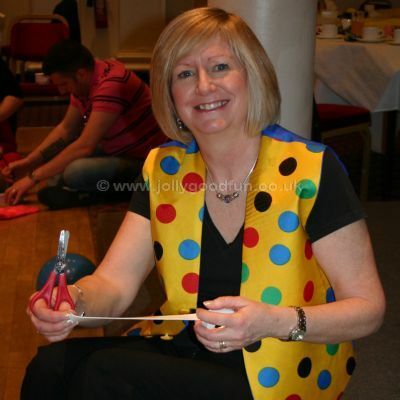 If your event or party has a theme we can provide craft activities to complement that theme. Here are some examples of the themed craft workshops we have provided to our clients. These are just a few. There are many more. Call us with your request. Children of all ages can join in. The children get to keep what they make. A Craft Workshop can be booked as a stand alone entertainment or as a complimentary or background activity to other forms of entertainment. For an event or shopping centre / retail environment you could have either magic shows or puppet shows with craft workshops filling the time between. 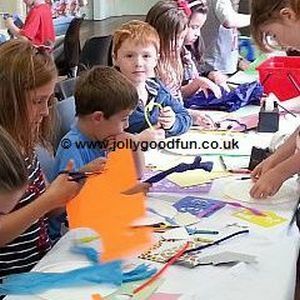 Craft Workshops are great for holiday clubs too. 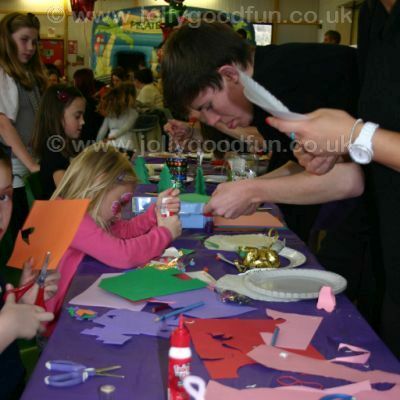 Why not integrate the craft workshop with some of our other fantastic children's entertainment ideas. Your life is made easier because we bring all the materials and the ideas so that you can relax and watch the children having a great time. We supply all materials. We just need a warm, dry indoor space to work in and three 1.8m tables depending on numbers. Parents joining in with craft workshop. Hazel cutting out shapes from card.